Hingham's most gifted athletes, coaches, and true representatives of what is the best of Hingham. 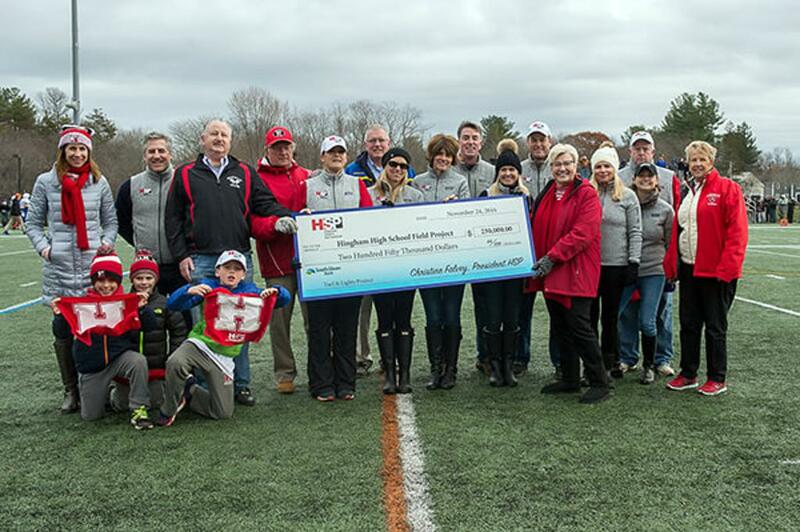 Back in 2012, Hingham Sports Partnership took on the task of fundraising $1 million dollars with a commitment to make the lead donation of $250 thousand dollars in the school committee campaign for the high school athletic facility. Through its fundraising efforts for the past four years, HSP is paying off this final commitment to the Town of Hingham, and recently presented a check to Principal Dr. Paula Girourd McCan and Margaret Conaty, Athletic Director. Thanks to the continuous support of so many of you, your families, and all the sponsors, this is happening one year early! Thank you to the Town of Hingham and members of the 2012/2013 school committee for helping create a place where community unites! Send Us Your Sports Related News! Send your sports related news to HSP@HinghamSports.com and we'll add it to the home page! Along with your news, please include a publishing start and end date as well as a photo or graphic. Do you get the Hingham Sports Newsletter? 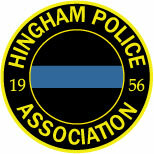 Want to stay up-to-date on what's happening in Hingham Sports? Our newsletter will arrive every Monday during the school year and will keep you up to date on HS sports schedules, various youth sports registrations, and a whole lot more! Please support these local businesses who support community endeavors like the Hingham Sports Partnership.